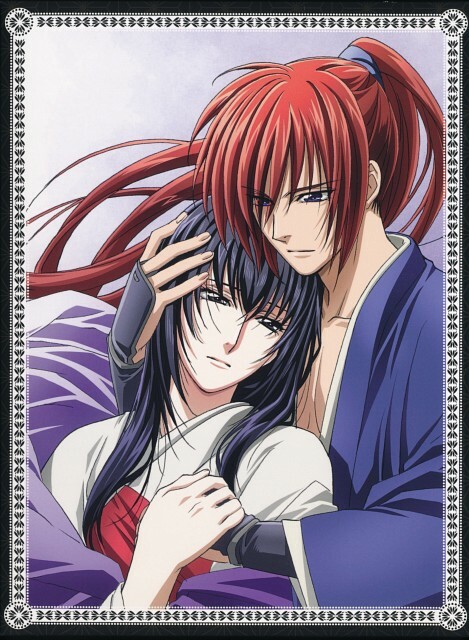 A Rurouni Kenshin Tsuiokuhen scan of Kenshin and Tomoe, it was the cover used for the Blu-Ray release of the anime. This picture is really beautiful but I will always prefer Kaoru over Tomoe! Quote by sandumirabelaThis picture is really beautiful but I will always prefer Kaoru over Tomoe! Kenshin and Kaoru are nice together in their own right, but I love Tomoe more because she was able to accept the Battosai within Kenshin and still grew to love him despite witnessing for herself the lives he took, gave her life to protect him from a man who wanted to kill him, and inspired him to pursue another path in life, which is of peace...the peace he was able to have with Kaoru. Tomoe did so much to shape the kind of man Kenshin grew to become by opening her heart to him.